Carpet Cleaning Enfield is a provider of high quality carpet and upholstery maintenance services, but we do a lot more than clean carpets. While our clients call us in to clean and remove stains from their carpets and furniture upholstery, we hope they see us as partners in their efforts to create healthy and attractive environments in their homes, offices, restaurants and other places of business. We’re truly committed towards helping you live better, by giving you clean and comfortable surroundings, with great prices and even more impressive service. By focusing only on methods of cleaning and maintaining carpets and upholstery, we’ve developed our complementary steam cleaning and stain removal methods to give clients the best services in the industry. 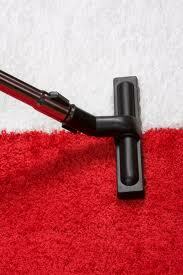 Our cleaning crews, equipment and detergents are just the surface of what we do. They’re supported by the entire Carpet Cleaning Enfield family so that you, our client, receive the best carpet or upholstery maintenance that we can deliver. Research and development are the backbone of what we do as we constantly update our techniques and tools to keep up with new and improved innovations. We’ve reviewed all the different methods of removing dirt from carpets and upholstery, so that you only receive those that deliver optimal results. We also regularly replace our equipment and cleaning solutions with better, more effective and more earth-friendly options. *The costs above are valid about Enfield. They include the required labour (cleaning hours). If additional time is needed, then supplementary costs will be applied. Minimum charge applies. Quotes over the phone are formed based on the supplied information. 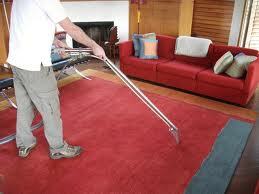 At Carpet Cleaning Enfield, we’re on a mission to change the way people view carpet cleaning. While having your carpets cleaned is just another chore on your long lists of things to do, there’s no reason why it can’t be a pleasant experience. We’ve tailored our services to minimize the disruption to your home or business routine as much as we can. From promptly kept appointments, to a flexible service schedule, we’ll do our best to work around your schedule. Carpet Cleaning Enfield crews also use equipment that is as quick and quiet and avoid harsh or strong-smelling solutions, so that you’ll be as comfortable as possible while we are working. Our trained cleaning specialists also adhere strictly to proper steam cleaning procedure so you’ll never have to worry about damp or pungent carpets. In fact, you’ll be able to enjoy the results of our services very quickly. Our steam cleaning and stain removal services have helped us build our name as one of the top carpet and upholstery cleaning companies in Enfield. We deliver the results you are looking for, whether you just want to clean a dusty carpet or get rid of a particularly stubborn coffee stain. Our polite and professional employees will evaluate your carpet, taking note of its condition, type of fibre and stained areas. Recommended services will be explained to you clearly, so that you will have a good idea of what is going to be done and the type of improvement you can expect. Our teams are also equipped to work on all types of carpets and upholstery, including acrylic, nylon, cotton, silk and wool as well as special cases, for example, an heirloom carpet or a hand-woven rug. Give us a call to find out more about our economical packages and satisfaction guarantee. We’re certain that once you’ve experienced carpet or upholstery cleaning the Carpet Cleaning Enfield way, you’ll never look back.